Fishtec TV Fishing tackle reviews and tips! Fishtec TV is a new an exciting innovation that helps you choose the right fishing equipment and give specialist hints and tips from our resident experts, all to improve your fishing experience! Our team has put together a wide selection of fishing videos from tackle reviews (old and new) including great tips to get more fish on the bank. These fishing videos will help you make an informed decision on all your fishing tackle purchases. Our fishing tips section gives you the opportunity to explore all aspects of fishing with everything from tying knots to landing your catch, for each and every discipline! With hints and tips from our resident fishing experts such as Alan Yates, Dave Lane and not forgetting previous World Fly Fishing Champion, Iain Barr for everything fly fishing. Your landing net won’t be left dry if you follow these specialist fishing tips! The fishing tackle reviews section has been designed to help you make your own, informed decision on what fishing equipment you should be using or may need to purchase. With detailed overviews of almost every fishing tackle brand there is, TF Gear, Greys, Airflo, Nash, Chub and many more, you can review the lot and choose which tackle item is best for you. A great way of knowing exactly what your getting, with expert anglers giving their professional opinion on each piece of tackle. 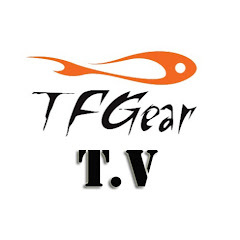 You can find Fishtec TV on the Fishtec website and on YouTube!